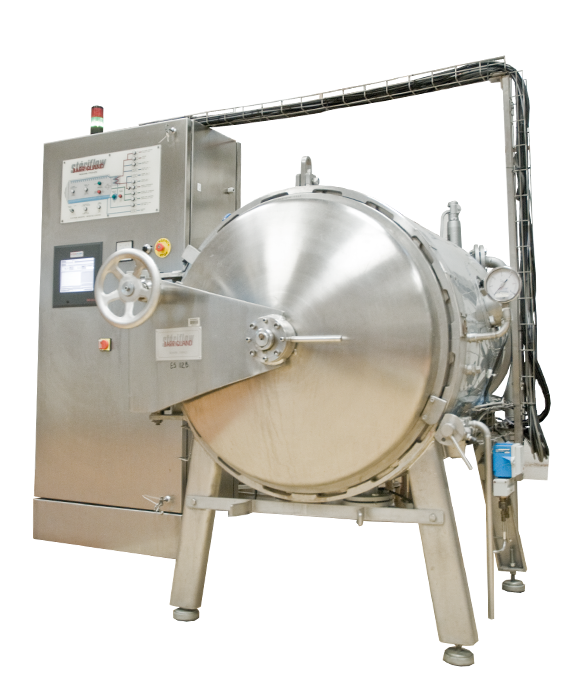 The acquisition of a new Armfield flash pasteuriser will enable us to expand and improve our range of pilot plant trials to meet the needs of our clients. Able to fill and seam all sizes of cans and to fill a wide range of PET and glass bottles. 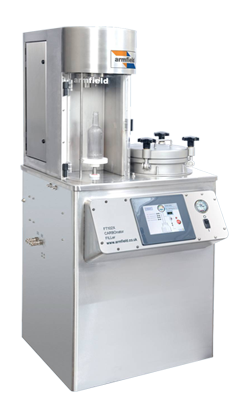 Variable carbonation settings available from 2.0 to 4.5 volumes CO2. 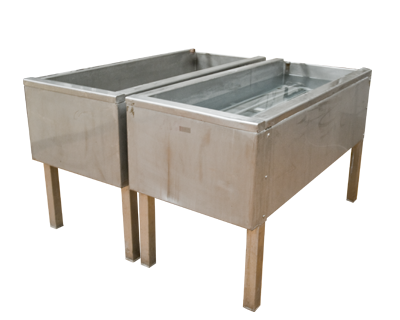 100 litre storage vessel for product make-up. 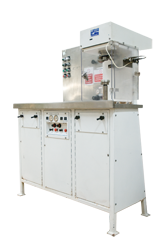 Carnaud metalbox MB200 vapour vacuum capper. For applying regular twist-off (RTO) and push on-twist off (PTO) closures. Change parts for 53, 63, 68 and 70mm diameter RTO closures are available. 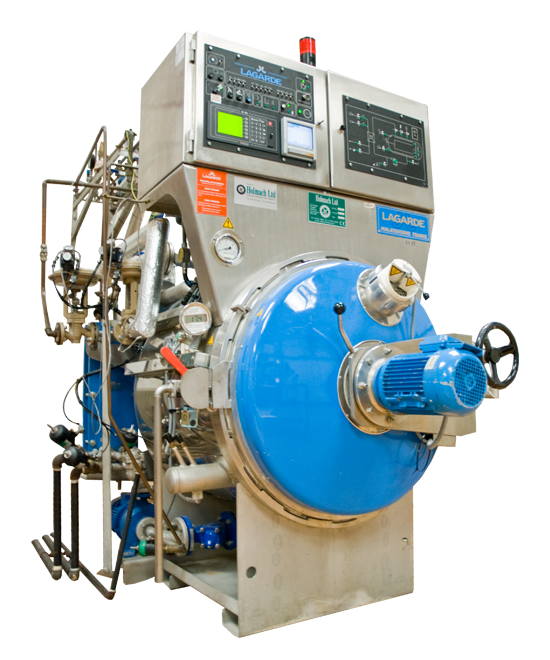 There is a steam flow closure facility and a closing speed of 3 jars per minute. 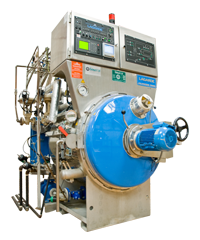 May be used for static or rotary processing using steam/air or raining water as the heating medium. The retort is fully programmable. There is a glass viewing panel and light. 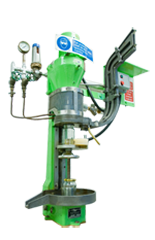 There are facilities for the attachment of a slip-ring assembly. Capacity of up to 80 73 x 115 cans. Also suitable for pouches, glass jars and plastic containers. Working pressure of 6 bar. Steriflow retort. 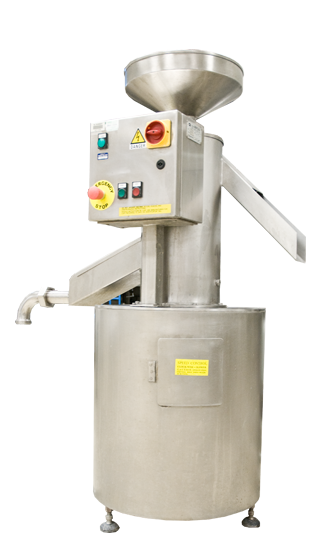 This retort is capable of processing up to 135 ET cans in a raining water process, under rotating or static conditions. 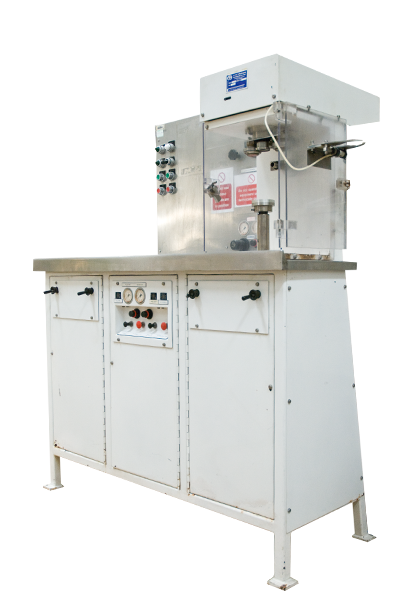 The retort can operate up to 150ºC, 5 Bar and 3rpm. Two atmospheric tanks for the exhausting of cans prior to seaming or for the pasteurisation of fruit packs. Capacity of up to 50 73 x 115mm cans per tank. One tank is fitted with a programmable controller. NS2002H homogeniser. 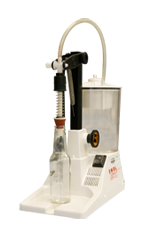 Bench scale 2 stage homogeniser – approximate capacity 50 litres per hour. Maximum pressure 600 bar. 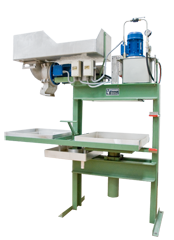 Pilot scale system for the manufacture of fruit juices. Requires fruit quantities of approximately 10 Kg and upwards. 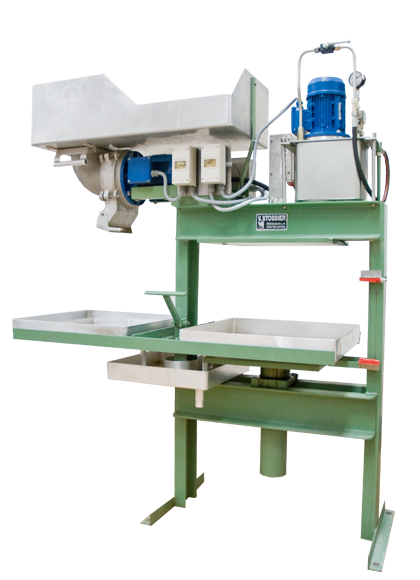 Pilot scale system for pulping and screening of fruits to remove skins and seeds. Requires fruit quantities of approximately 10 Kg and upwards. 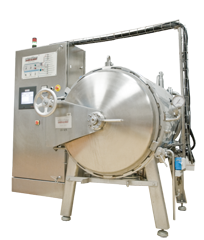 The FMC Citrus juicer is a catering/semi - commercial sized citrus juice extractor. Handling fruit sizes ranging from grapefruit to tangerines. 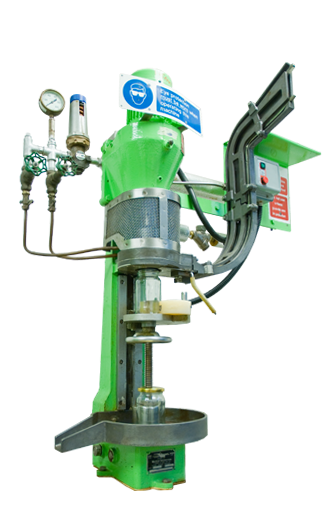 Mains operated semi - automated small scale vacuum bottle filler. 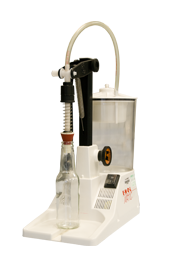 Has an adjustable filling level and speed of fill. Turbofill Filler. 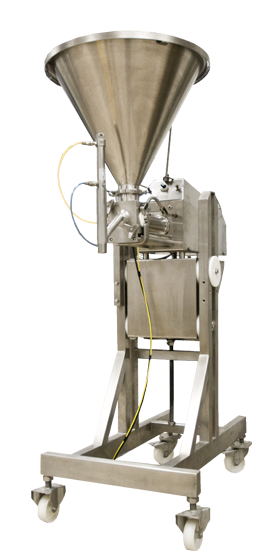 Pneumatic food product filler for liquid and semi-solid foods. Filling level and speed are adjustable. 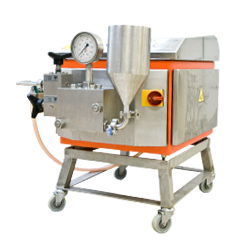 Has both a continuous and manual filling operation. Manual filling via a foot paddle. 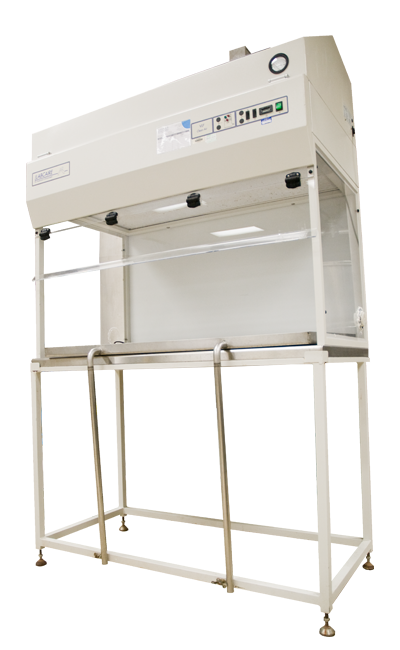 The Laminar Flow cabinet can be used to provide a clean environment for the hygienic filling of products. 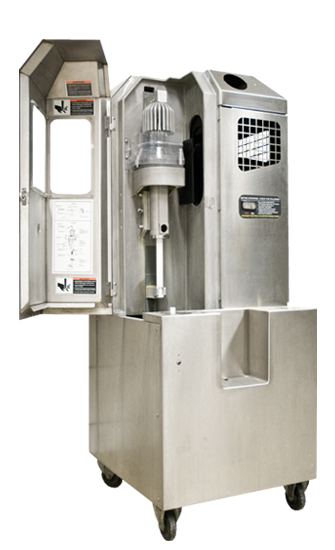 This beverage can seamer has change parts for 200, 202 and 206 diameter ends, with most common can volumes. 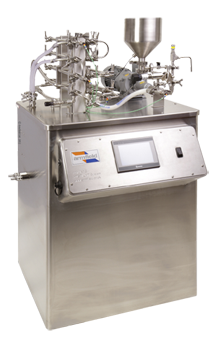 This cross bar carbonation tester is used for measuring the carbonation level in canned and bottled beverages. This crown capper is used for applying 26mm crown caps to glass bottles.